The omnipresence of smartphones means everyone has the potential to be a one-man film-crew. But that doesn’t mean they’ll be a good film-crew, right? While your trusty iPhone does pack a punch, it still requires a little know-how from the person in control, including how to frame a shot, ensuring adequate lighting and, of course, knowing when to film in horizontal rather than vertical. There are a number of reasons why it’s better to flip your device into ‘landscape’ when shooting a video, particularly if you intend for the video to be shown on a TV or browser-based video player – those black bars down the side just look ugly. And this is where Horizon hopes to help, an iOS app created by Greece-based mobile development company Evil Window Dog. 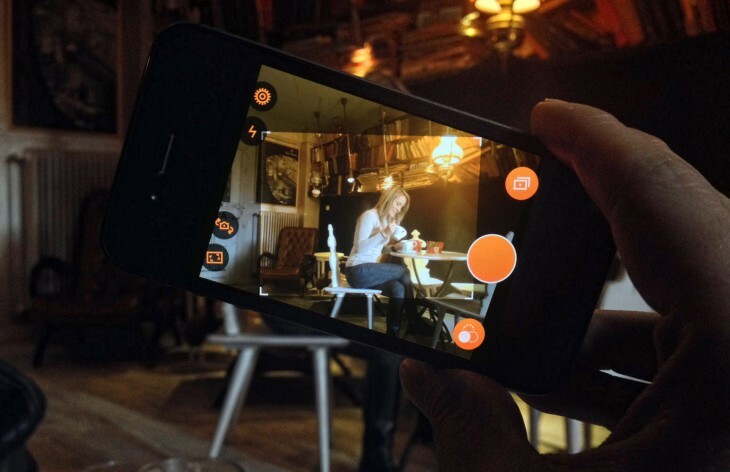 Simply put, Horizon lets you shoot horizontal videos regardless of how you hold your device. As you record, you can swivel the camera from vertical to horizontal and back again, and the viewer will be none-the-wiser. The app uses your iDevice’s gyroscope to auto-level the video to ensure it remains in the same aspect ratio. Horizon supports a range of aspect ratios which you can change at any time – 1080p (16:9), 720p (16:9), 640×640 (square), 640×480 (4:3) and 480×480 (square). In addition to this, there are three separate leveling modes – ‘Just Rotate’ is the default setting, which keeps the frame-size fixed, ‘Scale & Rotate’ essentially adjusts the frame for maximum viewport as you swivel the device, or you can just disable the auto-leveling completely if you wish to use this like any other video-recording app. Within the main settings menu, you can alter the video quality, resolutions, save-location (app or camera roll) and location tagging. There’s also a choice of eight filters which can be applied to your skits when filming, and you can share directly to all the usual social channels and beam to others using AirDrop. Compatible with iPhone 4s+, iPod touch 5+ and iPad 2+, Horizon really is a great idea that has been executed well – it should be warmly welcomed. It’s available to download from the App Store now for $0.99, though it will be rising to $1.99 shortly.